The small town of Wieliczka is about eight miles south east of Krakow and is known almost exclusively for the salt mine beneath it. Salt deposits were first discovered in the 13th century and the mine continued in commercial operation until the end of the 20th century. The site was placed on the very first UNESCO list of World Heritage Sites in 1978. The first task for the visitor is, naturally enough, to descend. There are around 350 steps down, though it can seem like more as the spiral staircases just keep coming. 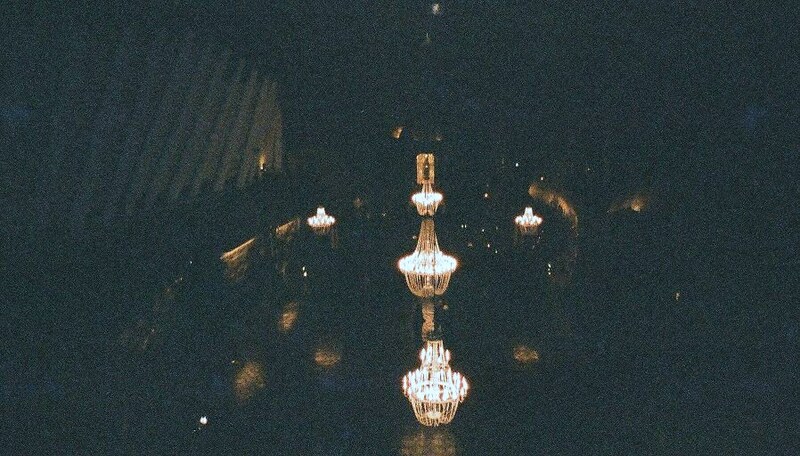 An inevitable thought as you disappear further into the earth is that you hope you don’t have to come back the same way. Thankfully not – there are lifts to take you back to the surface. 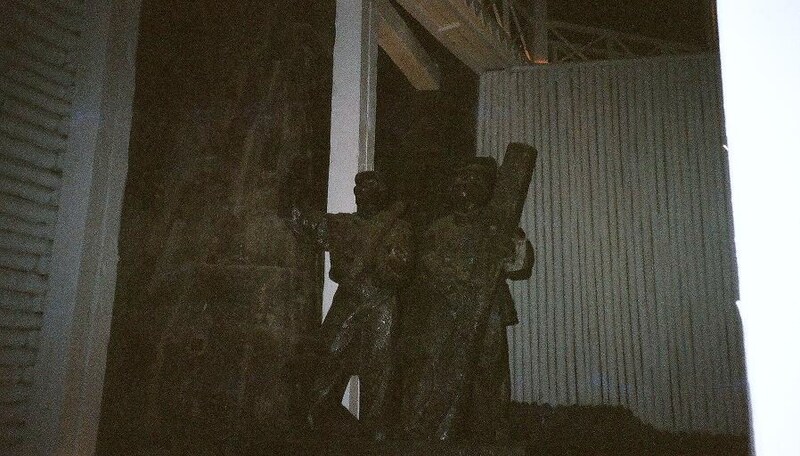 Although some of the more recent sculptures in the mine were created by modern artists, most of the work was done by miners. Unsurprisingly, in a devoutly Catholic country, many of the pieces are of a religious nature. The effect is rather like entering an underground cathedral. It’s possible, should you be so inclined, to hold your wedding ceremony in the mine, though presumably the event would cost a fair amount. There are even occasional concerts held in some of the larger chambers, the acoustics being exceptional. 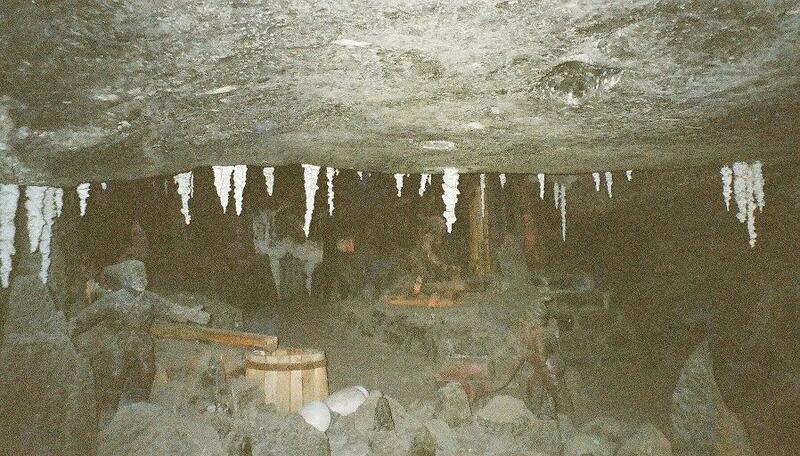 One of the sobering thoughts, as you wander around the passages and caverns of the mine, is that the visitor only sees a tiny portion of the whole place. A visitor will walk around two kilometres of the total of 200 or so kilometres of the total. The walking tour takes around two hours. The mine is almost an underground city in salt, with its chapels, chambers and rooms. The ‘city’ has its own lakes and small rivers, so intensely saline as to make the Dead Sea look like a freshwater lake. The administrator of the mine had his own ‘house’ within the mine, the Gothic architecture befitting its subterranean location. The most spectacular of the mine’s three chapels is the Kinga Chapel, dedicated to the mine’s patron saint. It is the largest chapel and is delightfully ornate, containing many sculptures and intricate chandeliers, all lovingly carved from rock salt. Poland thrives on myths and legends. Not surprisingly, one of these legends is attached to the mine and its patron saint. Kinga was a Hungarian princess who was to be married to the King of Krakow. 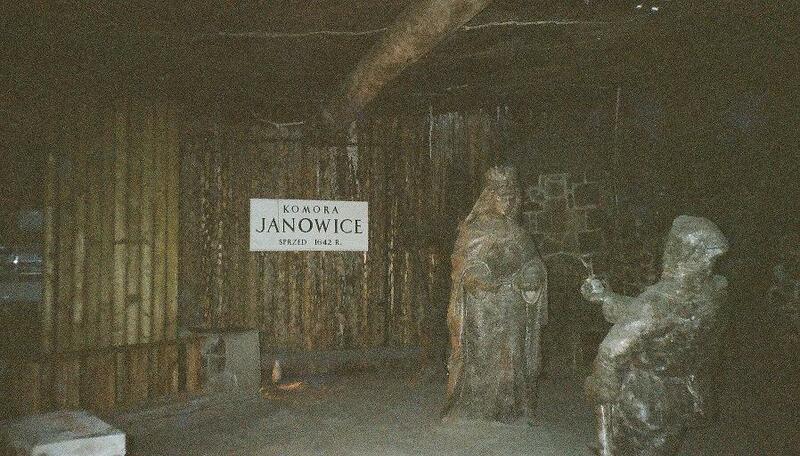 As a gift for her husband, she asked for a salt mine, salt being scarce in Poland. Her father duly provided one. She threw her ring into the depths of one of her father’s salt mines before leaving for Poland. On arriving there, she asked the people to dig a deep pit. The people found salt and wrapped around a salt crystal was the princess’s ring. The original miners had their own canteens, but the modern-day visitor can have a meal in the restaurant, 125 metres below ground. Diners are unlikely to make requests for extra salt. This entry was tagged Kraków, Poland. Bookmark the permalink.